From Sligo Town take the N4 to Carraroe. Take the first exit off the Carraroe roundabout and turn left at the church onto the R287. Take an immediate right onto the R284, signposted Keadue. Union Wood is signposted on the right after approximately 4km. 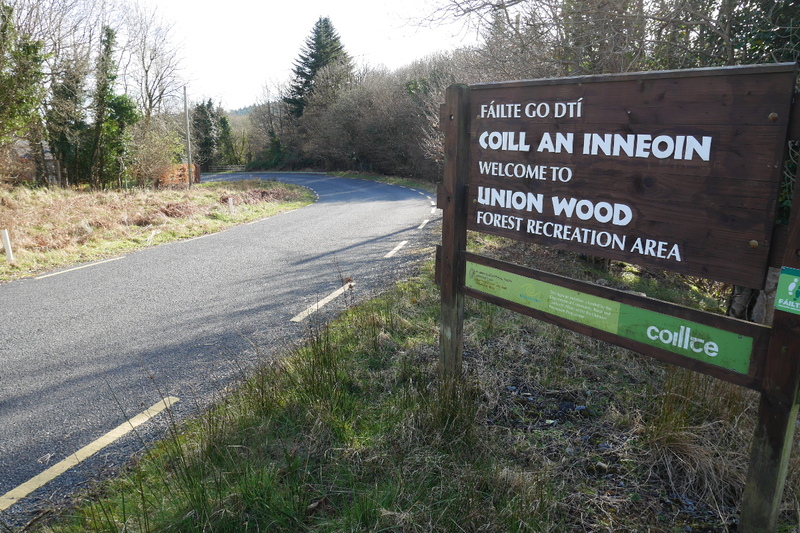 Union wood is a large area of mixed forestry located between Coolooney,Ballygawley and Ballisodare and provides a wonderful amenity for Sligo. 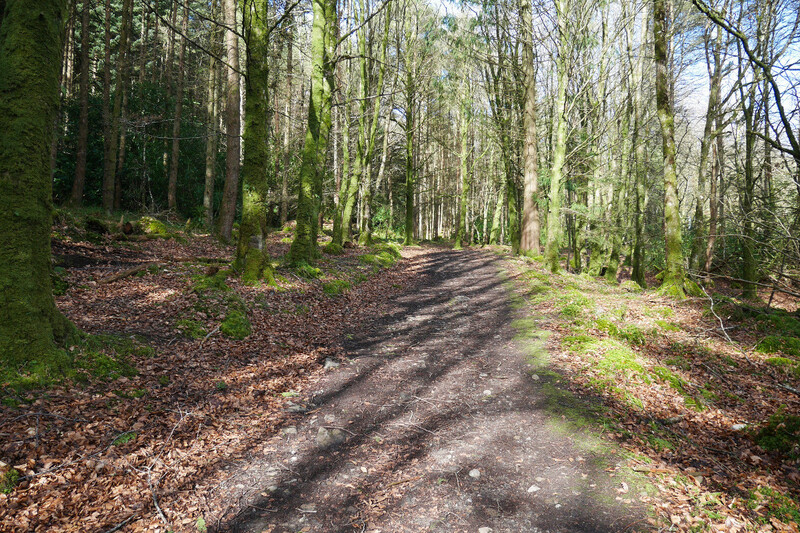 The woodprovides a range of walking opportunities through diverse woodland as well as access to Union Rock and its wonderful panorama of the North West of Ireland. 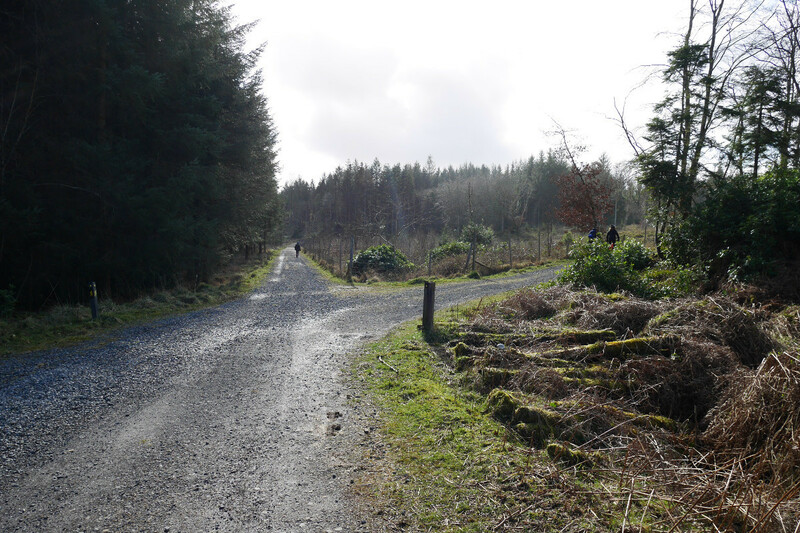 There are two waymarked looped walks within Union in addition to the Sligo Way long distance waymarked route. 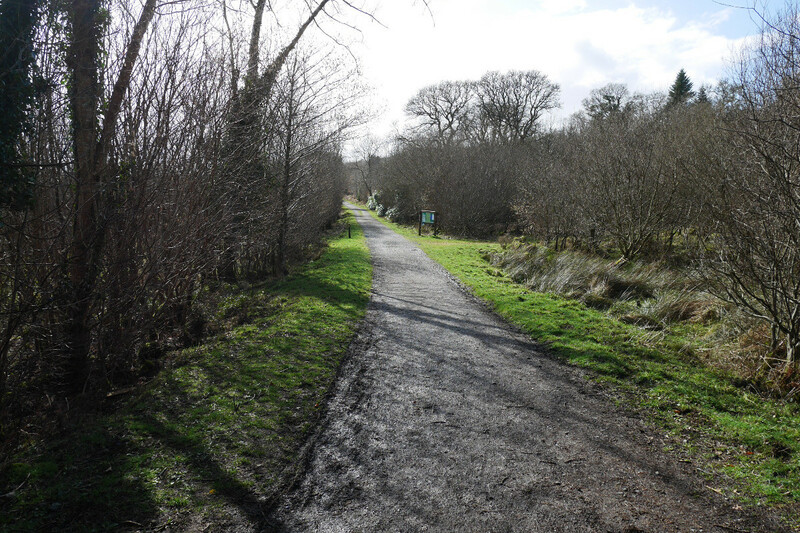 The Oakwood Trail – A gentle looped walk along the edge of the old oak woodland, the Oakwood Trail is looked after by the National Parks and Wildlife Service. 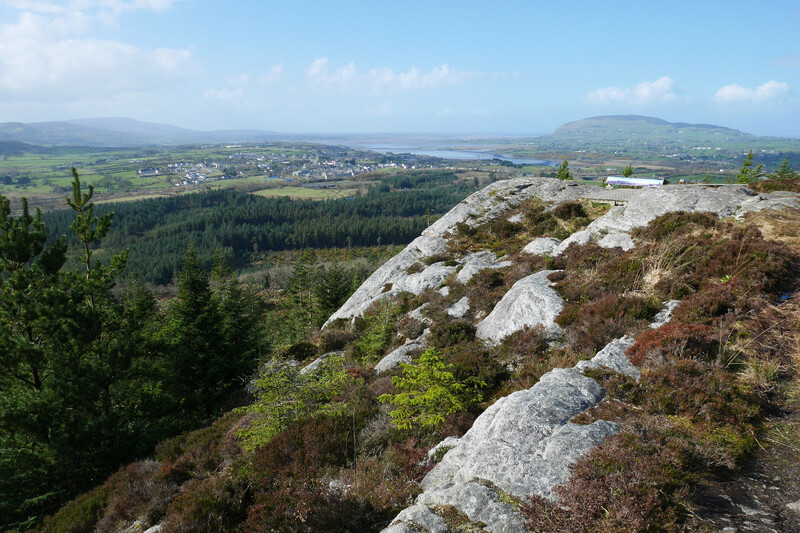 Walkers will enjoy stunning views of the Ox mountain range, Knocknarea, Ballygawley Lake and the surrounding Sligo and Leitrim countryside on the easy and peaceful route. Union Rock Trail – A more strenuous looped walk. 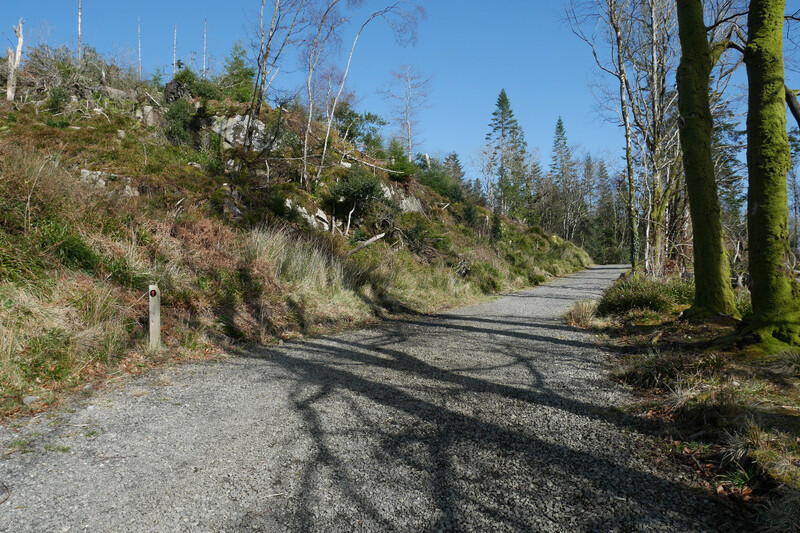 The start of this trail takes the walker through an area managed for its biodiversity. 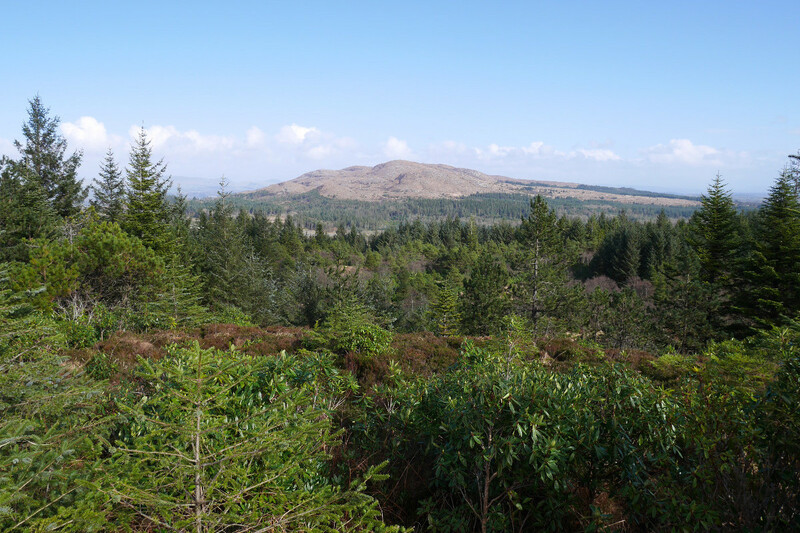 The trail provides access to Union Rock which necessitates a climb, but the effort will be rewarded with an excellent view of the surrounding countryside. Formerly part of the Cooper Estate, Union Wood is populated with fallow deer, bluebells and rhododendrons. 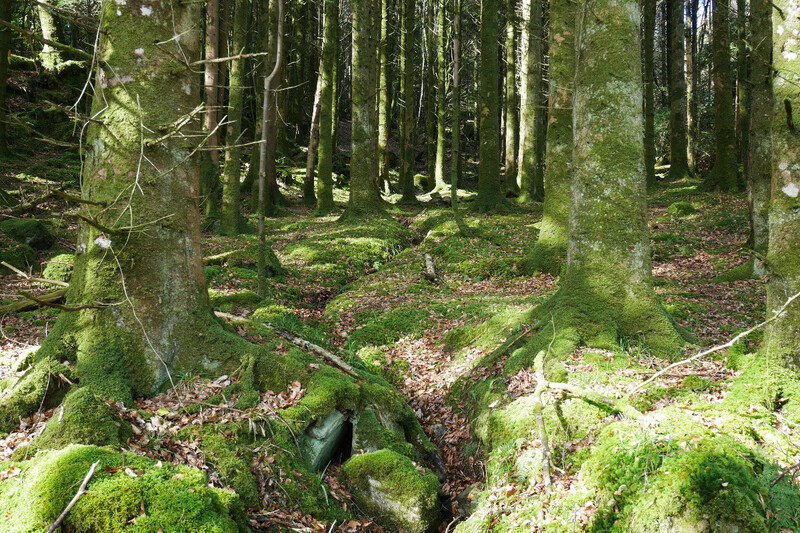 Its boundaries enclose a section of the Sligo Way which runs through Slish Wood and on to the village of Dromahair. 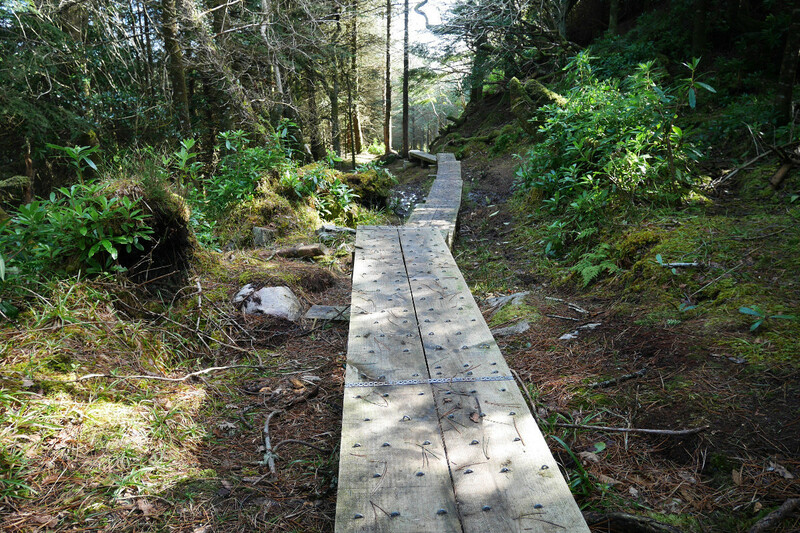 This section of the Sligo Way is 4.5km, with an average walking time of 1.5 hours over a moderate gradient. 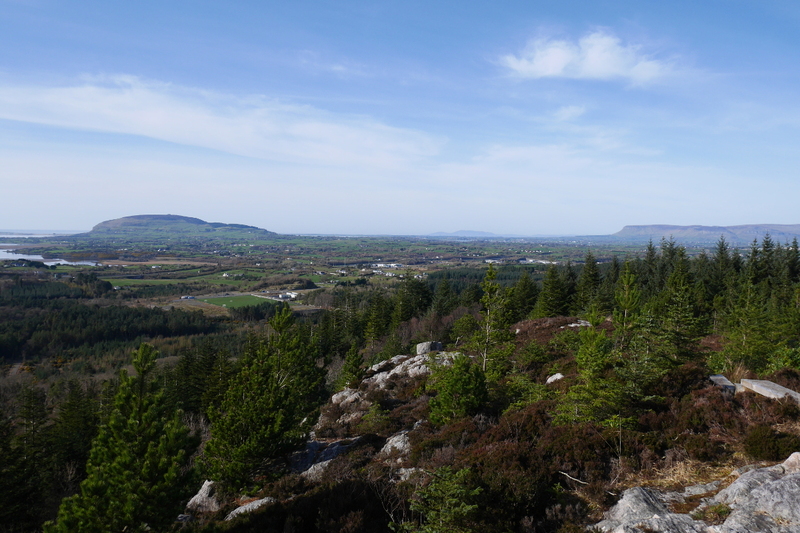 Great mountain view and well signposted .I have walked it 26 times while visiting Sligo . Had the pleasure of doing this walk with my daughter, very enjoyable. Previous walkers have stated the signage needs to be improved ASAP . Thank god we didn’t get lost , had to ask a few times if we were on the right route to the ROCK. Firstly, brilliant work opening up these tracks! Unfortunately I have to agree with a previous review that the lack of signage is a major let down. Very little detail on the initial map at the start in the car park, and then no directions at 4 crossing points. With a little luck I completed the Red Track – Union Rock. But on Green Track I ended up at a house getting chased by 2 dogs, tried another path, and ended up in a housing estate in Ballasdare, only to retrace my path back to the entrance without completing the loop. Please fix up the sign posts. Don’t have junctions with no directional makers. ie which track, direction or distance to help/home/car park. This is a great facility with lovely walks and views from the Rock are superb. For visitors better signposts trail markers are needed. Walk it all the time. 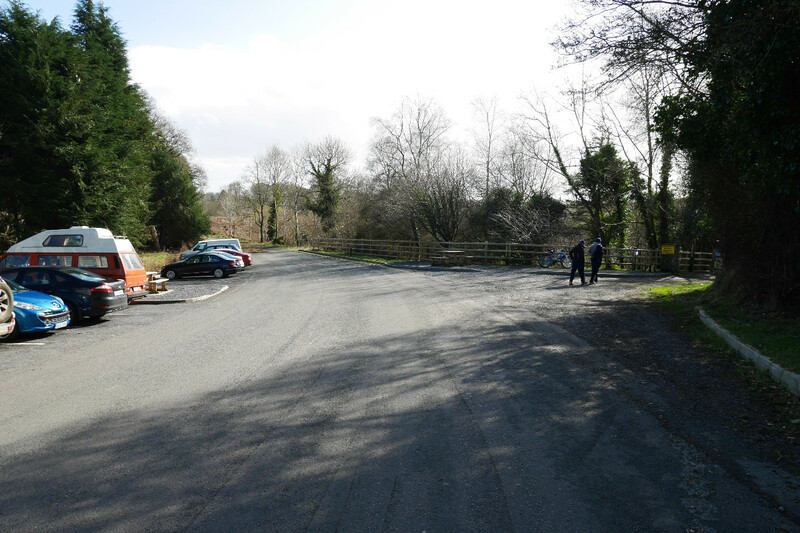 Love the new trail open between Collooney and Balisodare. Could promote the walk with better signage off the N4 at the Sligo Junction . Absolutely needs better signage in the trails about which loop you are on… an incredible resource for our area. My experience badly signed parked in main car park and ended up in Collooney. Only a very kind lady Rosaleen rescued us at the Gourmet restaurant in Collooney and returned us to our car we had a long trek back. This was part of the Cooper, not Copper, estate.